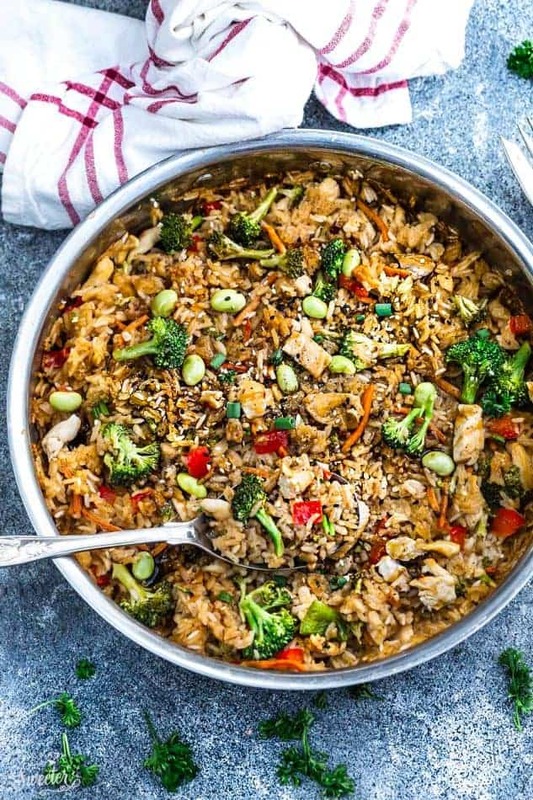 One Pot Teriyaki Rice with Chicken and Vegetables makes the perfect easy weeknight meal. 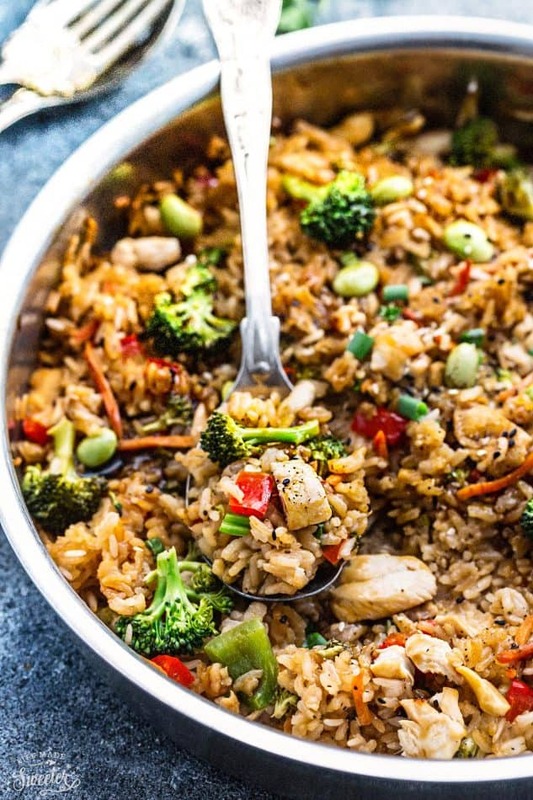 Best of all, everything cooks up in only ONE pan in just 30 minutes. 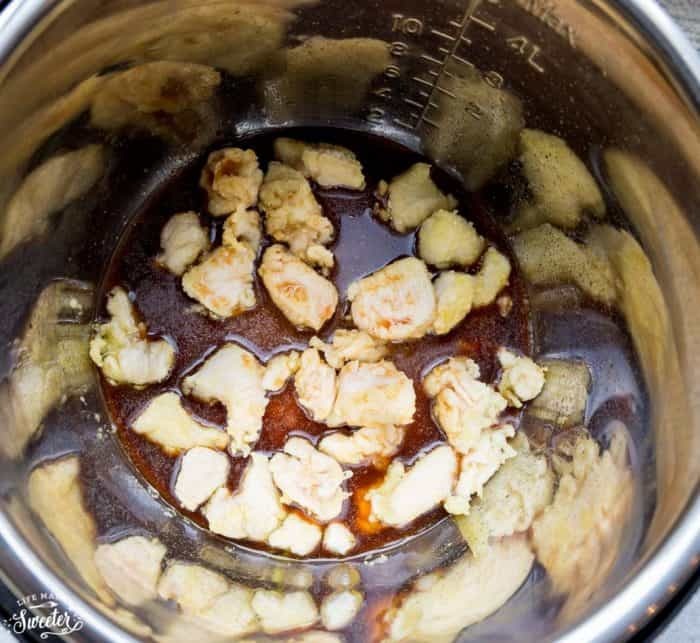 Plus Instant Pot instructions plus a step-by-step video. It seems like no matter what time of year it is, life can be so busy. 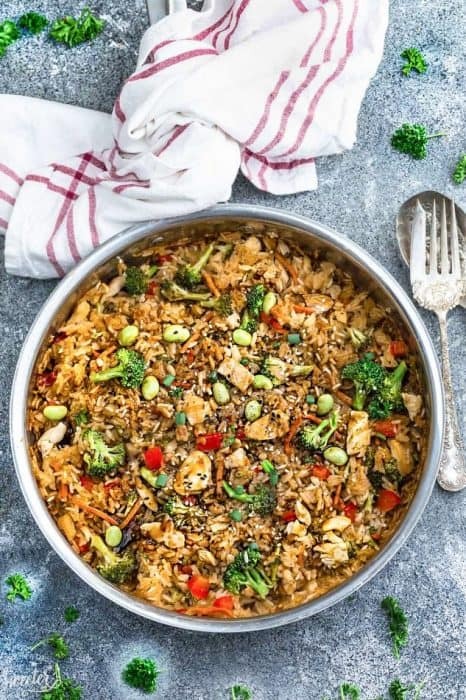 To help me get through those crazy weeknights, I am always relying on lots of easy skillet, slow cooker and sheet pan meals. 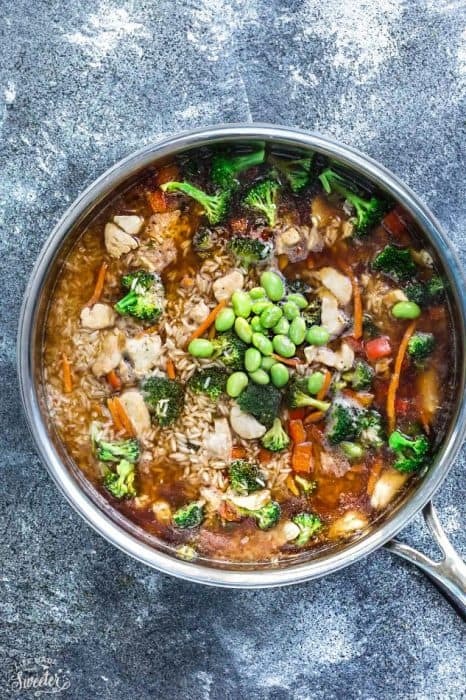 There’s just something so satisfying about a delicious meal coming together in just ONE PAN. Dishes are my least favorite chore so having minimal dishes to clean up is always a bonus. 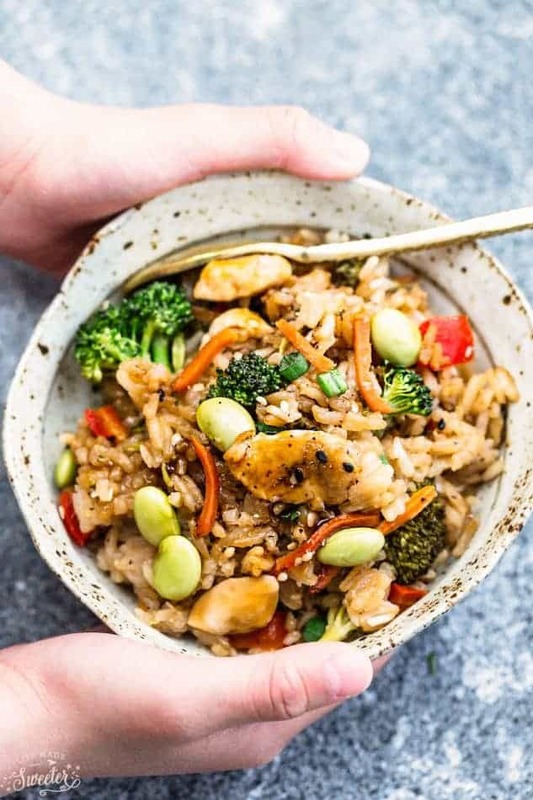 This One Pot Teriyaki Rice with Chicken and Vegetables is another super simple recipe. 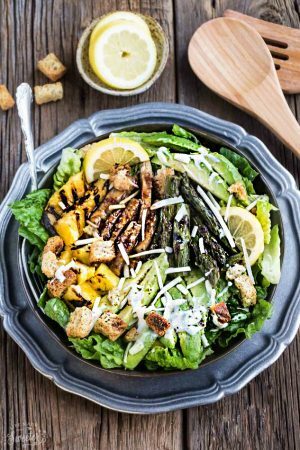 And you can whip it up in about 30 minutes. 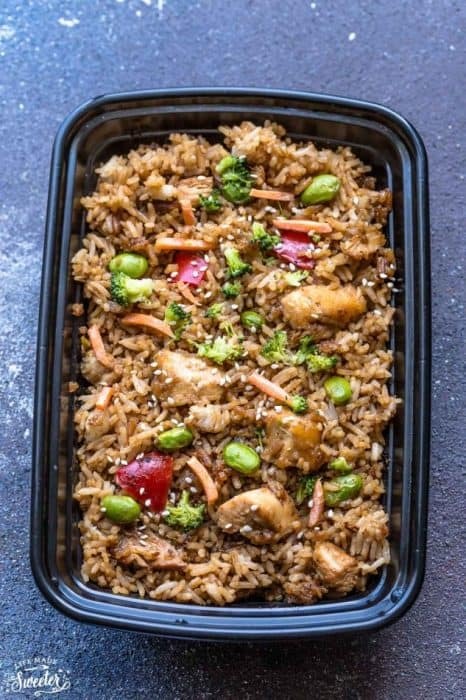 Even the rice cooks up in the same pan! Let’s start off by making the homemade teriyaki sauce. You can totally use your favorite store brand but making it yourself is just so easy with only 5 ingredients. For the veggies, I used shredded carrots, red bell peppers, broccoli and edamame beans. 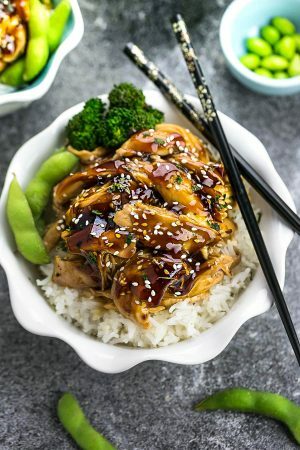 The rice gets infused with the delicious sweet and savory teriyaki flavors and cooks up nice and tender. I used Jasmine rice but you can use brown rice. Or if you’re short on time, instant rice works. Just adjust the covered cooking time to 5-10 minutes. 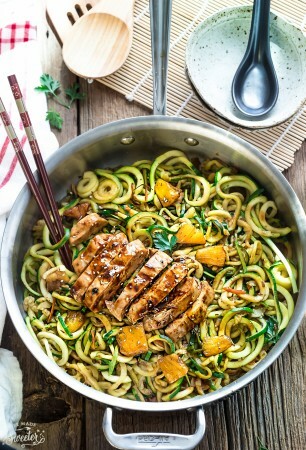 For stovetop method:In a large 12" skillet over medium-high heat, add the soy sauce, vinegar, honey, Mirin and starch and whisk to combine. Slowly whisk in water and bring to a boil until thickened. Transfer to a heat safe bowl. Add the ginger and garlic, stirring for 20 second, or until fragrant. Add the bell peppers and carrots and saute for another 30 seconds. Stir in 3/4 of the sauce, reserving the rest for drizzling at the end. Add the rice and gently stir in the water. 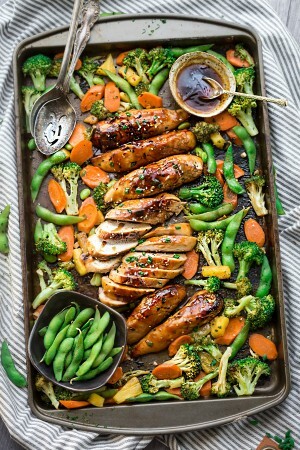 Remove from heat and drizzle with any remaining teriyaki sauce. Whisk together the soy sauce, vinegar, honey, Mirin and starch. Slowly whisk in water and bring to a boil, until thickened. Transfer to a heat safe bowl. Rinse and dry the pot. 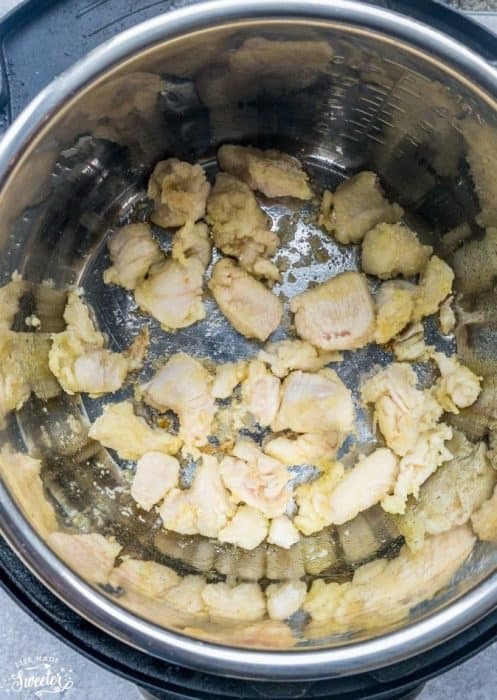 Heat oil, add the chicken and season with salt and pepper. Saute for 2-3 minutes, until lightly brown. Add the garlic and ginger and cook for another 20 seconds. Add the bell peppers, carrots, broccoli and edamame. Pour in 3/4 of the sauce, the rice and only 1 cup of water. Press MANUAL high pressure and set for 5 minutes. Using a long wooden spoon, push the release lever over to venting and allow the pressure cooker to quick release for 10 minutes and until all the steam has released. 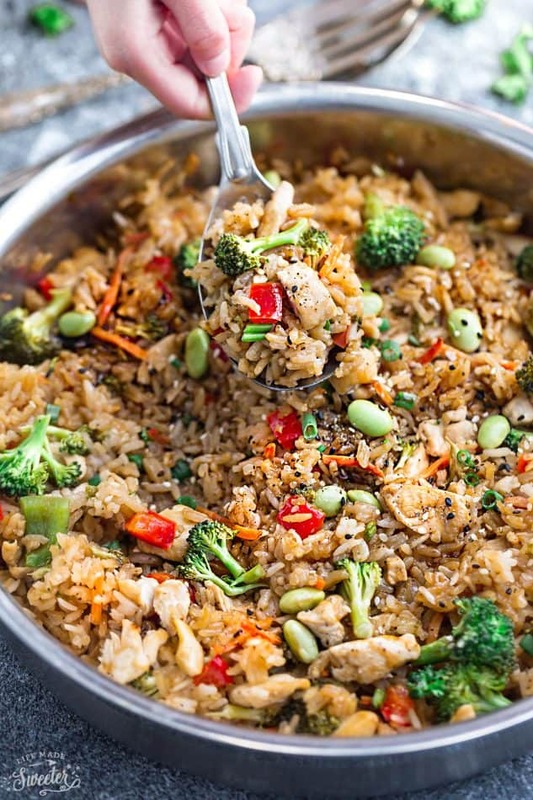 Remove the lid carefully and sprinkle with sesame seeds and green onions, if desired. Drizzle with remaining sauce and serve immediately. 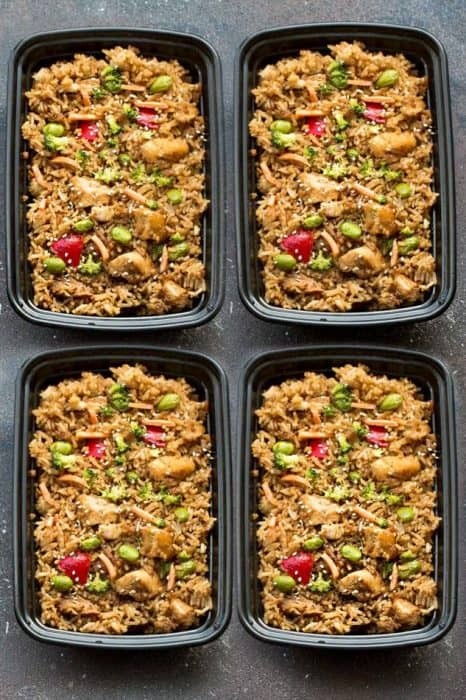 *Can also use Instant Rice for the stovetop method - adjust covered cooking time to 5-10 minutes, or until rice is tender. (I haven't tested Instant rice in the Instant Pot yet) **For brown rice, you may have to use more water or increase cooking time.